Case studies have been written on many farmers putting EverGraze principles into practice. The pages below provide stories from farmers in the Central NSW region describing what changes they have made to their farming enterprises and the impact on their business and lifestyle. Bookham Chris and Margot Shannon Lucerne leads to ‘more legs on the ground’ – Chris Shannon, Bookham Chris, Margot, James and Barb Shannon are trying to achieve what most graziers are aiming for “more legs on the ground”. 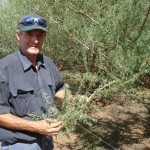 When hearing about the ovulation research being undertaken at the Wagga EverGraze Proof site, Chris was interested to try to replicate the positive results from this site on his own farm under more commercial conditions. 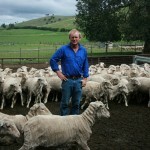 Yass David Hewlett Split Joining put in to practice – David Hewlett, Yass David Hewlett produces fine Merino wool at his 800ha property, “Blackburn” near Yass in NSW. 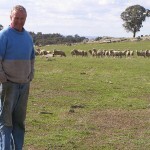 He has implemented a Split Joining system based on current EverGraze research to capitalise on the demand for cross bred store lambs. Orange Wes Brown Tagasaste adds flexibility – Wes Brown, Cargo Integrating tagasaste into the overall rotation system is helping Wes Brown, manager of ‘Grenabri’ in NSW and Chair of the central NSW EverGraze Regional Group, to fill the feed gap in dry seasons and provide valuable shelter for livestock.